Expats moving to Puerto Rico will enjoy the country’s tropical climate and favorable weather all year round. However, Puerto Rico has a high cost of living, particularly the prices of housing that are almost at par with housing prices in Los Angeles and Miami. Puerto Rico is considered to have a high-income economy, which is mainly driven by the manufacturing sector. Puerto Rico, an unincorporated US territory, was a major retirement destination for American and European expats. Despite the recent surge in prices, Puerto Rico is still relatively cheaper than most First-World destinations. The average price of a real estate property in the island is USD $195,000 compared to USD $320,000 in California and USD $325,000 in New York. A house in the Virgin Islands, another US territory, is worth USD $299,000. The island-state is a top vacation choice for Western holiday goers, especially Americans. Visitors from Asia and neighbouring Latin American nations also regular tourists in Puerto Rico’s historical sites and pristine beaches. About 4.2 million people arrived in the island last year, up from 4 million in 2011. Tourism contributes an average of $1.8 billion to the Puerto Rican economy annually, as well as jobs for locals and foreigners. Expats moving to Puerto Rico can expect the same healthcare services as in the US. The US territory has well-equipped hospital and clinics, qualified specialists and private health insurers. An American expat living on the island noted that insured patients have to pay minimal co-pay per visit or medication instead of the usual regular premiums. Private insurers also charge a fraction of the cost in mainland US. Medical fees, including doctor’s fees and lab costs, are paid before any service is extended. If you want to experience a life surrounded by pristine beaches and beautiful tropical rainforests, Puerto Rico is the place for you! This small island is oozing with outgoing and cheerful locals who are also widely recognised for their hospitality. And though they are considered to be an American territory, Puerto Ricans take pride in their roots as well as their rich mixture of different cultures. Its economy is also one of the most prosperous in the Caribbean that’s why many expats find their way here. Read the next paragraphs that will surely help you in relocating to this incredible archipelago. Some expats make a short vacation to Puerto Rico before relocating. In this way, they can go to the cities and see the communities. But if you are on a budget, you can go to online portals for real estate listings but keep in mind that the options you see on the internet are limited. It I best to contact local realtors once you arrive. They have a bigger network in the housing market and are very familiar with the neighbourhood. Setting up and paying for the utilities is your responsibility. In Puerto Rico’s main cities, the average monthly cost for your essential services (water, electricity and gas) is €200. An unlimited internet connection with a speed of 10mbps is usually €50 per month, and local mobile prepaid calls are charged €0.15 per minute. 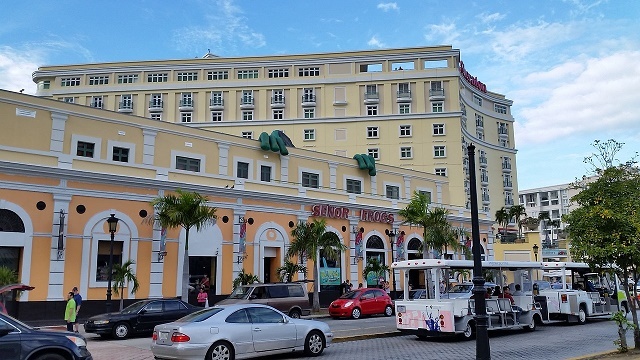 There are many apartments in Puerto Rico, especially in the major cities. Landlords also allow you to choose between a short term and long term rental agreement. You will find a huge number of expats living in San Juan, the largest city on the island and the centre of tourism and nightlife. You can find a one bedroom apartment here for €700 and three bedroom unit for €1500 per month. Another popular neighbourhood is the municipality of Cayey. It is surrounded by a beautiful mountain range and the home of one of Puerto Rico’s universities. A one bedroom apartment in Cayey is €300 per month and €500 for a three bedroom unit. Several schools use bi-lingual in teaching and others that use English as well. One of these institutions is the Baldwin School of Puerto Rico, who uses the International Baccalaureate Program in their curriculum. Puerto Rico gives great importance to its educational system where 40% of its budget is spent on this sector. Local and public schools use their mother tongue, Spanish as the primary language in teaching. The University of Puerto Rico is the leading state university of the island which was founded in 1900. When moving abroad, it's best to ask help from professionals to make sure that everything will go smoothly. Many shipping and removal companies provide door to door service for expats who are relocating in Puerto Rico. These people will take care of the whole moving process until your belongings are safely delivered to your new home. The average transit time (by sea) to Puerto Rico is 24-25 days where containers will arrive in Port San Juan for customs inspection. For further information about import regulations in Puerto Rico, click here. The only approved method of importing your pet to Puerto Rico is by air via San Juan’s International Airport where local veterinary officials will conduct an inspection upon landing. It needs to have a rabies vaccination between 6 months and one year before entering the country. Also, make sure to ask a licensed veterinarian from your country of origin to complete a Veterinary Certificate for Puerto Rico at least 30 days before your pet’s arrival. Keep in mind that Puerto Rico has banned specific breeds of dog like Pit Bulls, American Staffordshire Terriers and Staffordshire Terriers. This nation is blessed with a tropical marine climate which means that there will be lots of sunshine all year round and just enough rainy days. Puerto Rico is where you can work hard and still feel like you’re on a dream vacations. Puerto Rico, which means “rich port”, is a welcoming haven for foreign nationals. It is famous for its people’s innate hospitality, long sandy beaches and acres of beautiful palm trees. There is so much natural beauty and opportunities waiting for the brave expats who are about to start an exciting voyage in ‘La Isla del Encanto’ (The Island of Enchantment). As one of the many US territories, Puerto Rico uses the US dollar as its currency and its people are also considered as citizens of the United States. This beautiful island is the third smallest country in the Americas with a total land area of 8,869 square kilometres. It is one of the many major islands famous for its Caribbean breeze, white sand beaches, and well-preserved coral reefs. The sun smiles in this country and its total population of more than 3.6 million enjoy a weather that's constantly warm and sunny around the year. Puerto Rico has an extensive list of exciting activities for expats whether they are outdoor lovers or the kind who enjoy visiting historical sites. 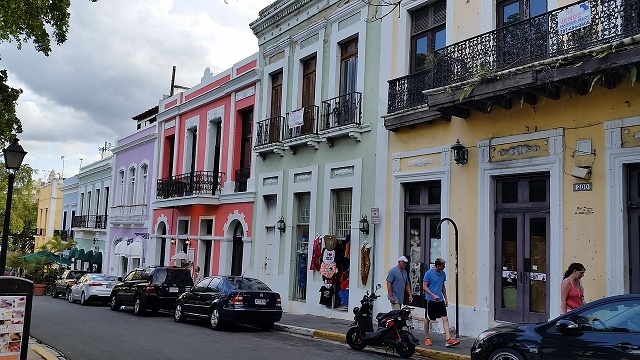 Those who want to start their bonding moments by knowing more about this country should first go to the Spanish colonial district of San Juan. It is a village situated on a tiny island where you will see an abundance of popular cultural and tourist sites. 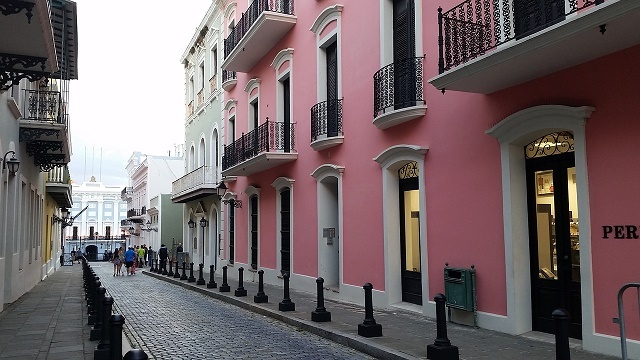 Some of the best attractions in San Juan are historic buildings, forts, plazas and fountains that were built during the 17th and 18th century. Here, expats will marvel at the three UNESCO World Heritage Sites: the Fort San Felipe del Morro, Fort San Cristóbal and Fort San Juan de la Cruz. Expats who love to feel the sun on their skin can go to the bioluminescent bays located near Vieques and Fajardo. These astonishing bays are perfect destinations for sunbathing, surfing, fishing, kayaking, scuba diving, windsurfing, parasailing and horseback riding. Another perfect outdoor destination in Puerto Rico is the El Yunque National Forest, a vast rainforest where kids can marvel at various kinds of animals, plants and in lucky occasions, of the endangered Puerto Rican parrot. The El Yunque also has two trails that lead down the scenic La Mina waterfalls. Though Puerto Ricans are a bit known for ignoring traffic rules, expats might still need a vehicle there is a lack of public transportation outside the major cities. Non-residents of this country are allowed to use their US driver’s license or a license issued by their home country for only a period of 120 days. Those who will stay beyond that period of time are required to obtain a Puerto Rican driver's license. Traffic in Puerto Rico drives on the right side and most road signs are written in Spanish. Expats who will prefer to drive in Puerto Rico should be extra careful since some roads have narrow bends and as mentioned above, local drivers are not used to slowing down. Speed limits are 25 miles per hour in main cities, 45 miles per hour on country roads and 55-65 miles per hour on highways. Those who will be caught driving over the speed limit will be receive a USD 50 fine plus another USD 5 for every consecutive mile per hour. Though Puerto Rico is a commonwealth of the United States, expats should know that when the locals say their ‘home land’, they are referring to their small, beautiful island of Puerto Rico and not the US. The people of this country take so much pride in their history, roots and culture. Never refer to them as Americanos, instead, they will appreciate it if they are referred to as Puertorriqueños. Puerto Ricans uses English and Spanish as their official language, but most of the locals are more accustomed to speaking in Spanish. During formal scenarios, expats must remember to use courtesy names such as Señor (Sir), Señora (Maam), or with the person’s profession such as Doctor or Professor. Other than these codes of respect, Puerto Ricans have an upbeat personality. Educación (education) and respeto (respect) are the two main pillars of the Puerto Rican society. The locals also believe in indirection is a significant strategy and that directness is a form of rudeness that must be avoided at all times. Relatives and close friend can often be heard talking to each other with a certain level of directness but always with much respect. The Puerto Ricans also admire people who can express their emotions, especially if its love and care. However, excessive public display of affection is still a big no-no. Customary greetings in this country include a firm handshake for men or beso (kiss on the cheek) for women.